Rod Stewart says that he was “absolutely stone broke” when his first child, Sarah Streeter, was born 46 years ago. “She was put up for adoption when I was 17 or 18” Rod said on the ‘The Joy Behar Show.’ Rod initiated contact when Sarah’s parents died. If being broke was a sufficient condition for putting kids up for adoption then I and many people I know would have wound up as an adoption agency’s case. Rod’s daughter seems to be taking the high road as she says “There’s no anger there,” Streeter told UK’s Daily Mail. 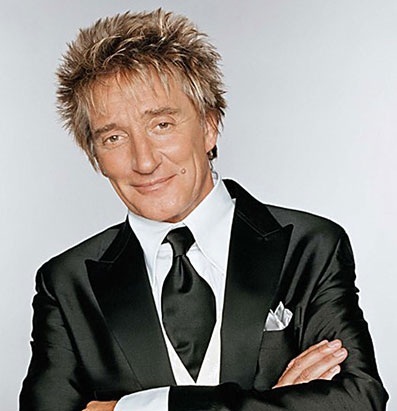 I’m sure Sarah is glad to know her biological father – after all, there are not too many Rod Stewarts out there and therefore not too many daughter’s of Rod Stewart either. Will he help her out financially? Will she become famous? At least he is doing the right thing now. Rod Stewart’s Son Sean Stewart Crashes Bentley, Flees Scene! Breaking News: Rod Stewart’s Wife Penny Lancaster Pregnant!